Newark, California – Penquills (formerly PhatWare Corporation), worldwide leader of award-winning handwriting recognition software and application development, is excited to announce the immediate availability of the Penquills iOS application, an advanced word processing, note-taking, and document management app. 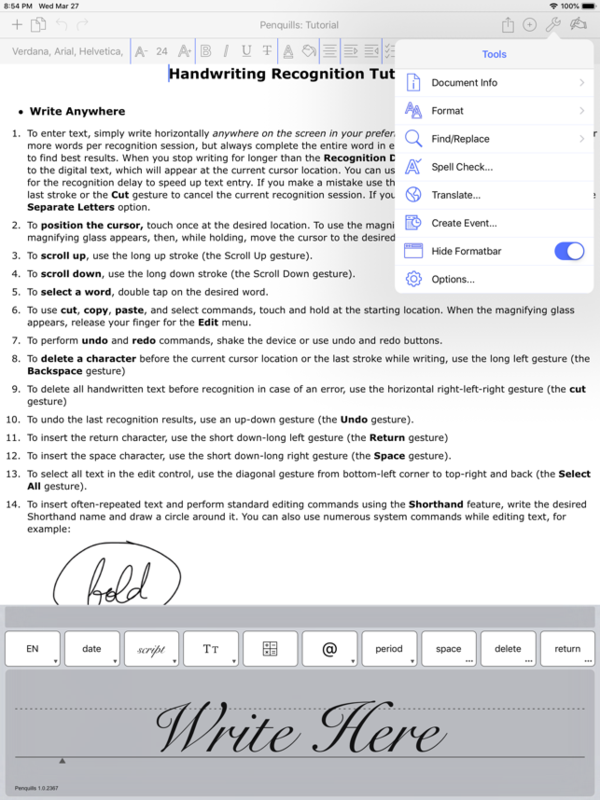 The app takes full advantage of Penquills’s state-of-the-art handwriting recognition technology. Penquills offers a multitude of new features and enhancements designed to increase user experience and productivity.